The BioShock mastermind says the series' legendary predecessor would have been "much, much stronger" if the team hadn't wasted time on multiplayer. Did you know that System Shock 2 had a co-op multiplayer mode? It did, tacked on by a post-release patch, and it wasn't great. Having three or four people running around in a game designed to be handled by a single person effectively did away with any semblance of challenge, and as I recall it was a bit of a buggy thing, too. Worst of all, as it turns out, it had a detrimental impact on the single-player game, too. The most common concern among gamers against the inclusion of multiplayer modes in single-player-focused experiences is that they're an unnecessary drain on resources that would be better put toward the development of the "real" game. 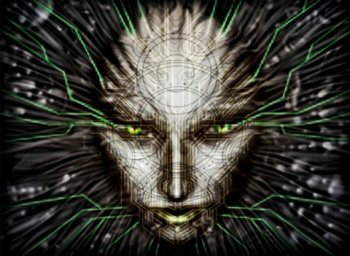 Most developers deny it but in a recent interview with Edge about the making of System Shock 2, Levine admitted that the effort put into creating an online co-op mode was wasted. "It was a real distraction," he said. "There are a number of people who really enjoyed it, but the amount of time versus the amount of reward for that versus what we could have done with the rest of the game... I don't think it was a win. The single player game would have been much, much, much stronger if we had that time back." System Shock 2 was a brilliant game despite being a bit of a sales bust, so the idea that Levine thinks it could have been that much better if the team hadn't wasted time and effort on multiplayer is a bit of a surprise. But it seems likely that his experience on that game was a factor in the recent confirmation that his current project, BioShock: Infinite, will not have a multiplayer mode. Better late than never, right?